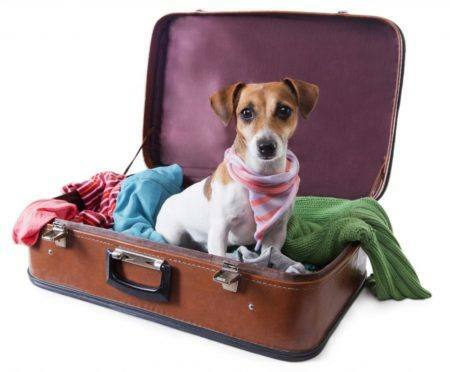 Scheduled to travel, but not comfortable with the idea of leaving your pet behind? Don’t worry, we’ve all been there. 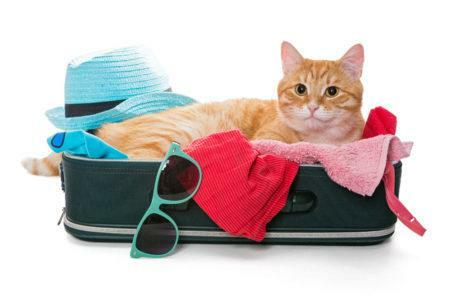 Traveling away from home and leaving your furry friend without your care and attention for an extended period of time can be anxiety-inducing – both for you and your pet! That’s why majority of pet owners choose to have their fur baby tag along for the ride. But hold your horses – before you make that booking, give these considerations some thought to guarantee the safety, comfort, and well-being of your pet all throughout the journey. Travelling by plane has to be one of the most challenging methods of transport for owners and their beloved pets. Airline companies often have very strict regulations when it comes to allowing non-humans on their flights. Plus, the fact that animals tend to be more sensitive of their surroundings, launching a pet several thousand feet into the air in a cramped cage or crate aboard a massive, noisy plane can make them very uncomfortable. 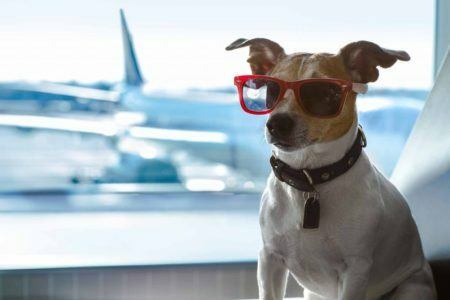 Choose the Right Airline Company – There are some airline companies that aim to accommodate all guests – including pets. For instance, some companies let owners have their pets with them in the cabin for short-distance flights. Flights that travel longer distances can allow pet passengers as cargo, keeping them in an exclusive storage section on the plane. Come Prepared – Most dogs and cats will feel slight anxiety during turbulence or take-off, so they will want to snuggle close to you when those rough winds hit. That’s why it helps to wear the right clothes (tougher fabrics that aren’t as easily damaged by claws, or materials that don’t cause pet fur to cling) since it’s unlikely your pet will stay under your seat throughout the ride. Take a Long Walk – A pet that’s given enough physical activity before a potentially stressful situation will manifest less signs of anxiety and distress when it’s time to board. Before the flight, try to give your pet a few hours of rigorous physical exercise – run outside, play with her, and get that little body moving. Take Away Food and Water – While it might sound cruel, it’s ideal to keep your pet away from food around 6 hours before your flight, and from water at least 2 hours before. This limits the chances of vomiting while you’re in the cabin. Practice Using a Carrier or Crate – Airports will often prohibit pets in their facilities, unless the pet is in a carrier or crate. If your pet isn’t used to being in one, you might want to start practicing. Maximize Layovers – It’s ideal to have your pet wearing a diaper during the flight to manage any mess they might make in the air. But once you land, or during layovers, try to look for pet relief stations which are mandatory facilities in airports that provide pets a place to get their business done. Cruise liners tend to be much more accommodating of pets, with most companies even having on-board ‘kennel masters’ that are cruise ship personnel in charge of caring for their guests pets. 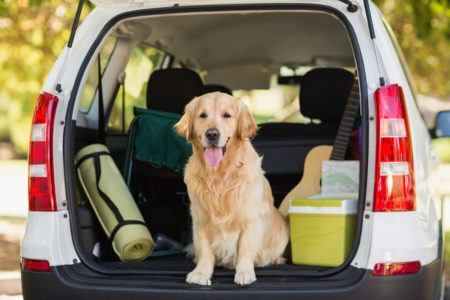 Of course, while this might allow an owner to enjoy the trip without having to fuss over their furry friend too much, there are still a few things you need to cover to guarantee your pet’s safety and comfort. Be Ready with Proof of Vaccination – Because your pet will be allowed in most of the common places aboard the cruise, companies are careful to make sure that each animal has the necessary vaccinations to prevent untoward accidents or incidents with other guests on the ship. Inform Beforehand – If your pet has any strict dietary needs, be sure to inform the liner way before the actual trip date. More often than not, they will be able to accommodate most standard specialty diets. Consider a Microchip – While most companies have polished kennel masters, it’s still better to be prepared. Having your pet microchipped or making it wear a GPS collar can make it easier to find her if she gets lost on board. Bring a Toy or Two – If your pet has any toys or items that it feels comfortable having with her, don’t hesitate to bring them along. Depending on the rules of the specific cruise liner, some kennel assistants will allow these items in your pet’s sleeping quarters. Consider a Specialty Trip – Some cruise liners offer unique packages that are exclusive for pet owners. These are often shorter, but allow more lax regulations for owners and their furry friends to fully enjoy. Land travel is affordable and flexible in terms of allowing the accessibility to your pet whenever you need to tend to her. 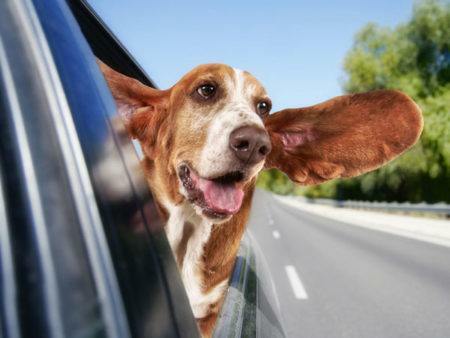 Of course, the cramped conditions and often extended travel time pose their own challenges, but most pet owners find it easier to take their pet on a long drive compared to most other methods of transport. Make It Cozy – Don’t forget to prep your pup’s seat by giving him a nice, comfortable little place to rest while you’re on the road. It also helps to cover up your seats entirely so you don’t risk having his fur clinging to your seats when the ride is over. Take as Many Stops as Necessary – The beauty of driving with a pet is that you can take as many necessary stops as possible. Don’t forget to give your fur companion a pee break, snack break, and water break every hour or so to keep him comfortable. Factor in Movement – Unlike humans who can sit comfortably for hours, most pets need movement every so often. Whenever there’s an opportunity, step out of the car and give your pet a well-deserved, leashed run to make use of that pent up animal energy. There’s no need to leave your little fur friend at home. 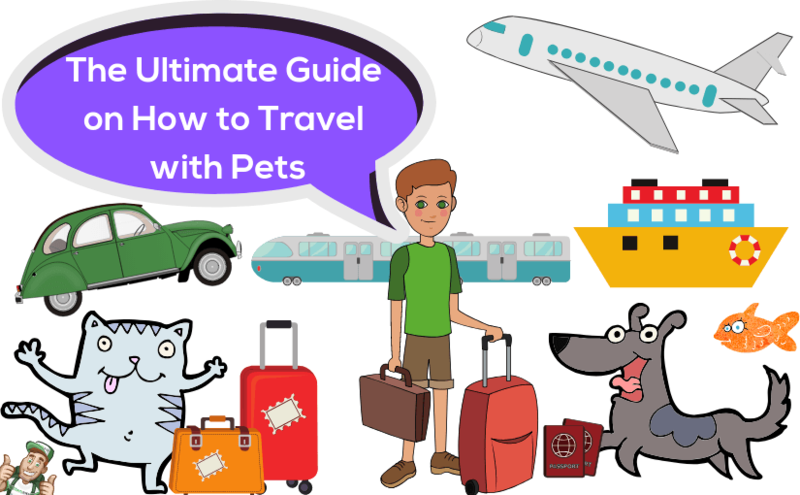 Lots of companies in the travel industry understand how important pets are as family members, so most of them will be happy to accommodate your fur baby on one of their many trips. 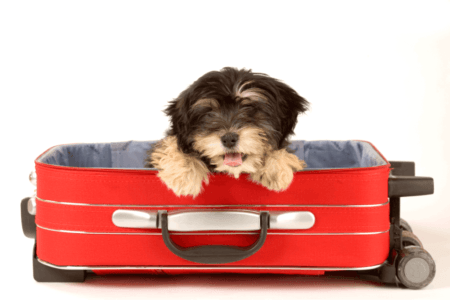 If you’re travelling with a pet, make sure to keep these considerations in check to guarantee a fruitful, happy experience for your furry companion and yourself.